35. מִצַּד הַכִּסֵּא הָעֶלְיוֹן שֶׁהוּא גּוּף לַקָּדוֹשׁ בָּרוּךְ הוּא, וְהַמַּלְאָכִים שֶׁתְּלוּיִים מִמֶּנּוּ, כְּמוֹ אֵיבָרִים שֶׁתְּלוּיִים מִן הַגּוּף, שֶׁהֵם זְכָרִים. וְהַנְּשָׁמוֹת שֶׁנִּגְזְרוּ מִמֶּנּוּ זְכָרִים. הַכִּסֵּא הַשֵּׁנִי גּוּף הַשְּׁכִינָה, וְכָל הַנְּשָׁמוֹת שֶׁתְּלוּיִים מִמֶּנּוּ נְקֵבוֹת, וְהַמַּלְאָכִים שֶׁתְּלוּיִים מֵאוֹתוֹ כִּסֵּא נְקֵבוֹת, וְקִרְבָתָם לַקָּדוֹשׁ בָּרוּךְ הוּא וּשְׁכִינָתוֹ. 36. כָּךְ יִחוּד הַקָּדוֹשׁ בָּרוּךְ הוּא וּשְׁכִינָתוֹ, אַף עַל גַּב שֶׁהֵם כִּנְשָׁמוֹת לְגַבֵּי הַכִּסֵּא וְהַמַּלְאָכִים, כָּךְ הֵם לְגַבֶּיךָ עִלַּת הָעִלּוֹת, כְּגוּף, שֶׁאַתָּה הוּא שֶׁמְּיַחֵד אוֹתָם וּמְקָרֵב אוֹתָם, וְלָכֵן אֱמוּנָתְךָ בָּהֶם, וְאַתָּה אֵין נְשָׁמָה עָלֶיךָ, שֶׁתִּהְיֶה אַתָּה כְּגוּף אֵלֶיהָ, שֶׁאַתָּה הוּא נְשָׁמָה לַנְּשָׁמוֹת, וְאֵין נְשָׁמָה עָלֶיךָ, וְלֹא אֱלוֹהַּ עָלֶיךָ. אַתָּה מִחוּץ לַכֹּל, וּבְתוֹךְ הַכֹּל, וּלְכָל צַד, וּלְמַעְלָה מֵהַכֹּל, וּלְמַטָּה מֵהַכֹּל. וְאֵין אֱלוֹהַּ אַחֵר לְמַעְלָה וּלְמַטָּה וּמִכָּל צַד, וּמִתּוֹךְ עֶשֶׂר הַסְּפִירוֹת, שֶׁמֵּהֶם הַכֹּל, וּבָהֶם הַכֹּל תָּלוּי, וְאַתָּה בְּכָל סְפִירָה, בְּאָרְכָּהּ וְרָחְבָּהּ, לְמַעְלָה וּלְמַטָּה, וּבֵין כָּל סְפִירָה וּסְפִירָה, וּבָעֳבִי כָּל סְפִירָה וּסְפִירָה. 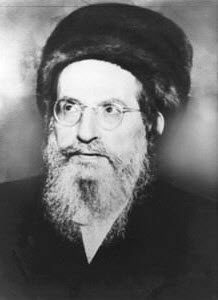 Rabbi Nissim Peretz of Blessed Memory was a great Kabbalist and I learned a lot from him. One important lesson is that we can’t grasp absolute spiritual state. When you ask why then do we study things that we can’t understand the answer is in what happens spiritually. When we come to the study with the knowledge that there’s nothing but Him, as you will learn from the DZ study that follows, it opens our mind on the spiritual level and connects us to the essence of the Light and the forces that activate the spiritual aspects of the study that we don’t understand. Even though our mind can’t grasp the spiritual study, The Holy One gave us the Torah and Precepts to allow us act on the spiritual levels as we do in the corporeal world. In the corporeal world we use materials and physical tools to construct what we want. The Torah and Zohar study help us ‘construct’ spiritual forces that benefit us. When we follow the Torah and Zohar with pure heart and the awareness that we don’t understand all the secrets, we open our minds to receive the spiritual Light of the study. The Daily Zohar brings the study on several levels to give us the best possible spiritual connection. We publish the Zohar text as image so everyone would see (Chokmah) the same text. Thousands of people make the same connection to the same Zohar text everyday. This way every reader/scanner around the world is connected with one spiritual thread. The audio recording and or the self reading of the text (Binah) help in opening channels of Light. The study of the commentary is the aspect of Zeir Anpin and when we go over it several times we make a stronger connection to the Light of Chokmah and Binah and let the Light of the Zohar flow into our lives. The Daily Zohar follows the Zohar in its paragraph sequence so with every study we increase our vessel and expand the channel. This introduction is for the following study that wouldn’t be easy for most beginners to understand. To have greater (not complete) understanding of this Zohar we need to go over the study of the Tree of Life and more. So I suggest that you submit yourself to the idea that you may not understand everything and by that as we learned from Rabbi Peretz, we will still make a great spiritual connection. The supernal throne is like a body for the Holy One Blessed be He. The angels are like body parts to this body and they are males. The second throne is like the body for the Shechinah and all the souls and angels come from this throne are females. Moses, who gives us this lesson in the Zohar, continues to explain that for ‘עילת העילות’ (pronounced ‘Ilat Ha’ ilot’), the ‘cause of all causes’, which is the Endless Light (Ohr Ein-sof), the unification of the Holy One Blessed be He and the Shechina is like body for him, even though they are in the aspect of souls for the lower levels of angels and worlds. The Endless Light or the Light of the Endless, (Ohr Ein Sof), created all the worlds of Adam Kadmon, Atzilut, Beriah, Yetzirah and Asiah. This Endless Light is the soul of all souls and the entire Creation is like his ‘body’. To simplify the understanding of this process, imagine that you have a boss, giving you a command to build a big building. He caused a reaction on your part to make it happen. His ‘energy’ (soul, command) is what drives you and that makes you a ‘body’ (action) to his command. Now when you assemble your team and give them the task to start planning the details and build the building, you become the ‘energy/soul’ that drives them to work. The first ‘cause’ created and set of ‘causes’ that continues until the building is completely manifested as the first ‘commander’ commanded. The energy that initiated the building process exists throughout the entire chain. Everything in this world is ‘driven’ by the Light of the Endless. Every Atom and particle that can be measured in the entire universe include within it the essence of the Endless Light. Even everything in the spiritual realm, beyond our grasp, like Keter and all the Sefirot are vessels for the Endless Light and causes/souls for the levels below them. Every cell in our body are ‘driven’ by this force that is the cause of all causes. Our individual soul is a vessel for the Light of the Endless and it is also the ‘driver/commander’ of the body. This principle should guide our lives to become a ‘cause’ for positive and building. Everything that ‘sprouts’ from that carries an ‘ownership’ ‘signature’ and is registered in the ‘books’ of the Endless into our accounts of merits. Even if we are not a big cause for good things, we can earn merits by supporting channels of Light to the world and other causes that do good. My personal recommendation for those who appreciate in the work and the studies of the Daily Zohar – by supporting the Daily Zohar projects you share the merits because your energy feeds/energizes the channel that many benefits from. On Lag B’Omer we celebrate seven years of Daily Zohar studies. We completed the study of Tikunei Zohar and Pinchas and many paragraphs from every portion of the Zohar. We have free mobile apps and many tools that so many use and benefit from them. As we studied from the Zohar, the ‘eighth’ is above the realm of this world and connects us to Binah. I pray and believe that the coming year will be full of miracles for the Daily Zohar. When you support our projects that are free for all, you help in revealing the Light of the Zohar in the world, become a partner in the ‘cause’ and share the great merits. I hope you join our soul and become a great ‘cause’ for all the ‘causes’ that the Daily Zohar makes in the world.